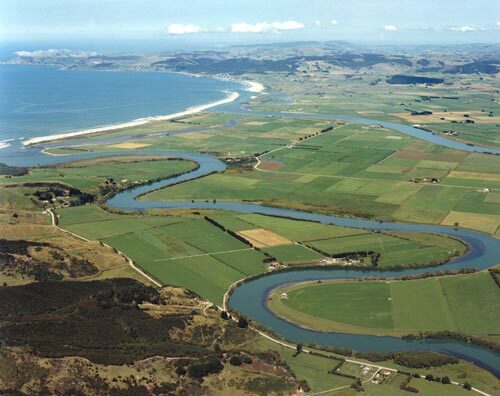 The Clutha River/Mata-Au splits into two branches – the broader Koau and the narrower Matau – shortly before reaching the sea. Inch Clutha is the fertile tract of land between the two, visible in the middle and right foreground. The Matau branch is in the immediate foreground, and in the distance are Molyneux Bay and Nugget Point.